THE NEW PRODUCTS JUST KEEP COMING! Thanksgiving is just around the corner but we’re not slowing down! The new products just keep coming. Click the NEW below to download a pdf flyer of the newest items added to our offering. The new Scrub-It by Tri-Edge is coming early to Mid-November. Order now to receive the first available! 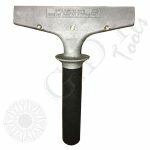 The SCRUB-IT is a hand-held scrubbing tool that uses the leverage of the back of your hand to clean glass from contaminants or adhesive residue. The SCRUB-IT allows you to use your hand to reach in most places and scrub evenly throughout. 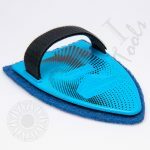 Scrub-It is a one size fits all as it can be adjusted to all hand sizes with the attached Velcro strap. The Scrub-It pads are available in two styles. 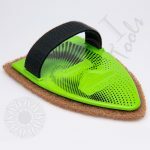 • The Green Scrub-It (GT2120G) comes with a Tan color scrub pad that is great for every day cleaning and prep work. • The Blue Scrub-It (GT2120B) comes with a Blue color scrub pad that is more aggressive and used for removing adhesive from the glass. 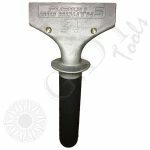 Replacement pads are available in 10 packs as GT2121B & GT2121T but each tool comes with one scrub pad. Both pads are made of scratch resistant material but use with caution. Test on a small part of glass before use as not all glass is made the same! *Please make sure to check newer vehicles for factory coatings that are applied to the inside of the glass that might be damaged by the Scrub-It. IT’S A BIG MOUTH !! Why is a Big Mouth Blade a good idea? 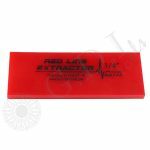 The 3/8″ thick blades are ideal for thick security films, graffiti films, hurricane/ bomb blast films, and windshield protection films. It is a much stiffer option designed to optimize solution extraction while not putting more pressure on the back and arms of the installer. Make your Big Mouth Blade work even better. One of the biggest issues installers encounter when installing thick mil films is extended dry time. This is mainly due to not being able to extract a majority of the solution because their current tools flex too much or they don’t have enough strength to push as hard as they need to. 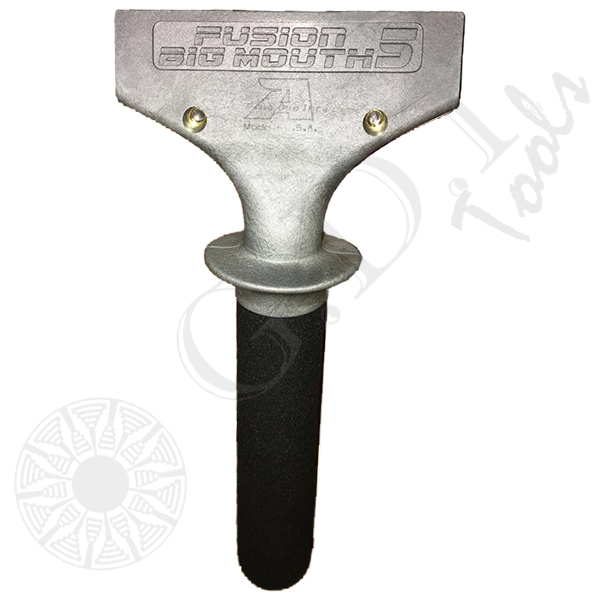 The Big Mouth handles and 3/8″ Blades are the solution to that problem by taking more of the force required to adequately finish the job off the installer and onto the tool. 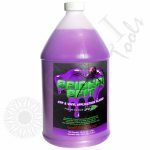 We are now stocking the gallon size of Spider Spit. Spider Spit is a specially created formula for application of PPF and wet install vinyl films. 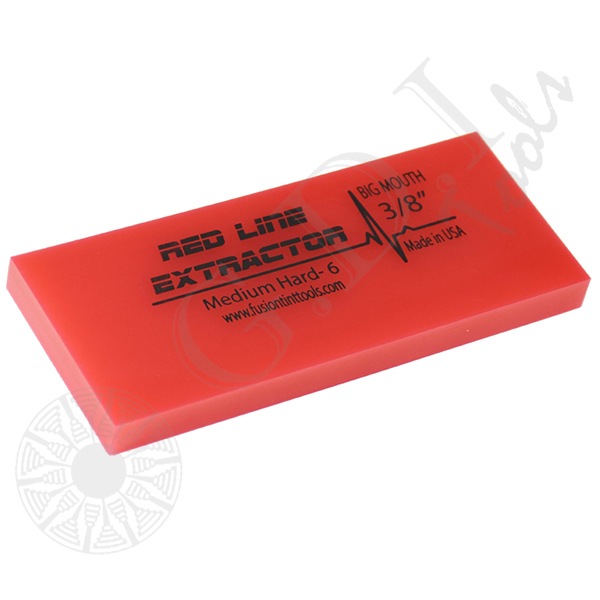 Contains no particulates, no degreasers, lanolin or harsh chemicals that weaken the performance of your products. 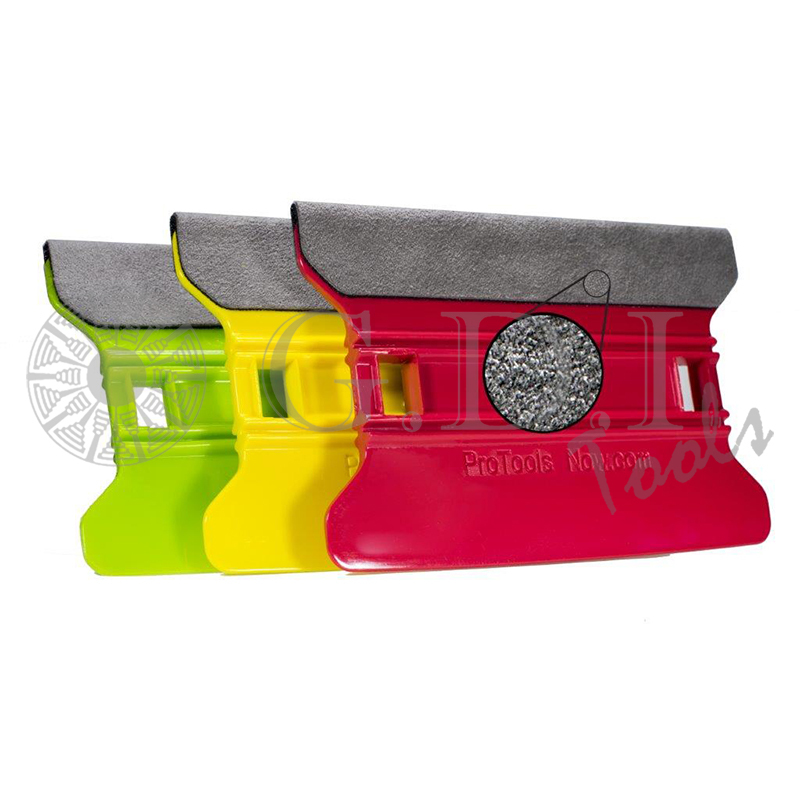 Slips when you need it to and tacks quickly. Mixing ration: 1 ounce per gallon of water. Distilled water works best! Order today as part number GT2119. Four gallons per case. 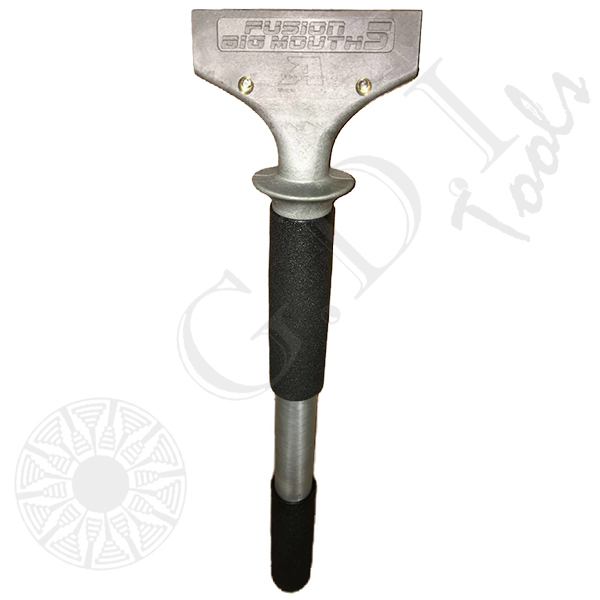 GDI is now stocking the GT1058S- 5″ Fusion Shorty Handle. A revised version of the GT1058- 5″ Fusion Short Handle. 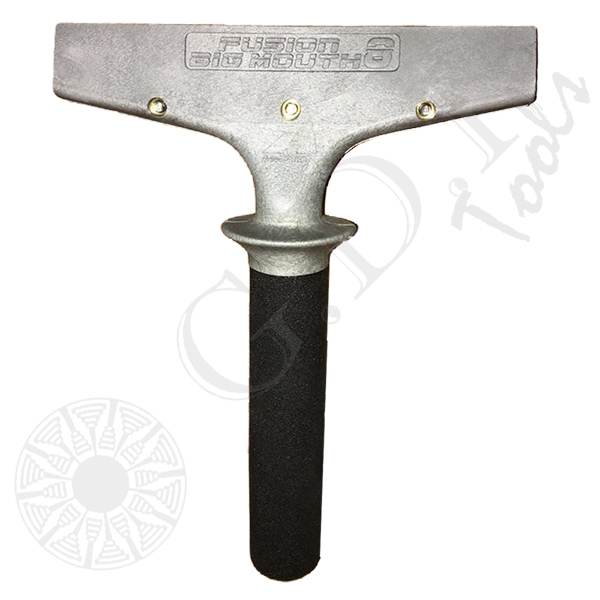 This version is without the collar around the top of the handle. Designed to optimize your leverage in removing mounting solution. Holds any of the 5″ squeegee blades. Great for high performance automotive films and smaller residential windows. 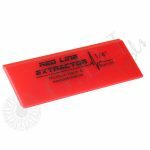 ROLL OUT THE RED CARPET FOR FUSION RED LINE! 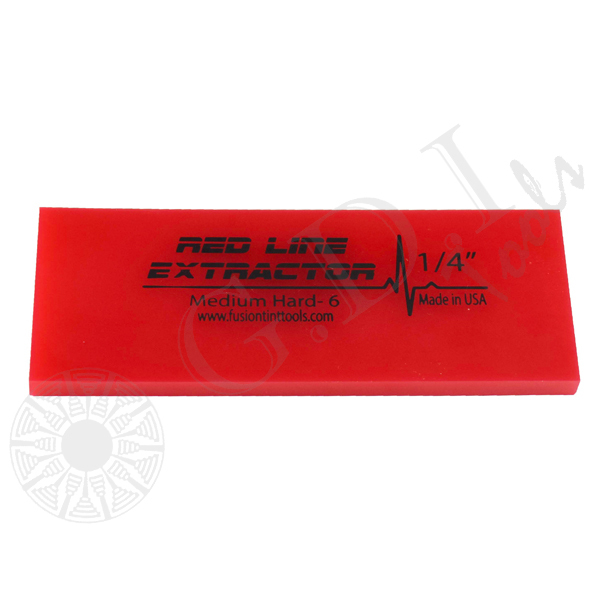 GDI Tools is proud to add The Fusion Red Line to our product offering. 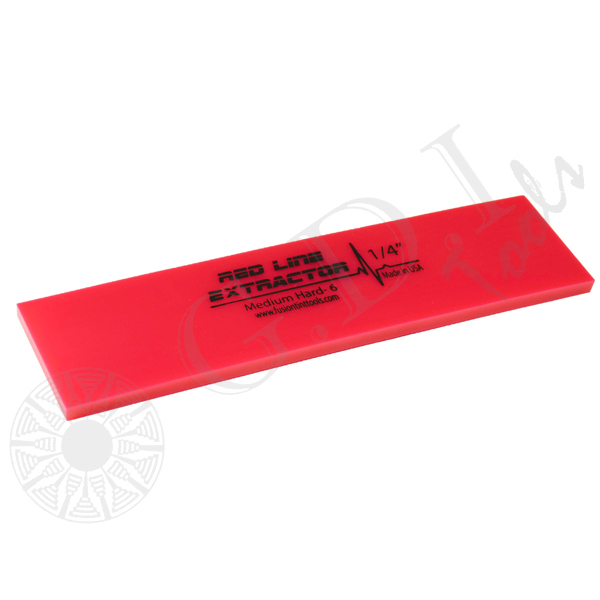 These new extractor blades are a 95 durometer and come with great choices to fit any installation need. 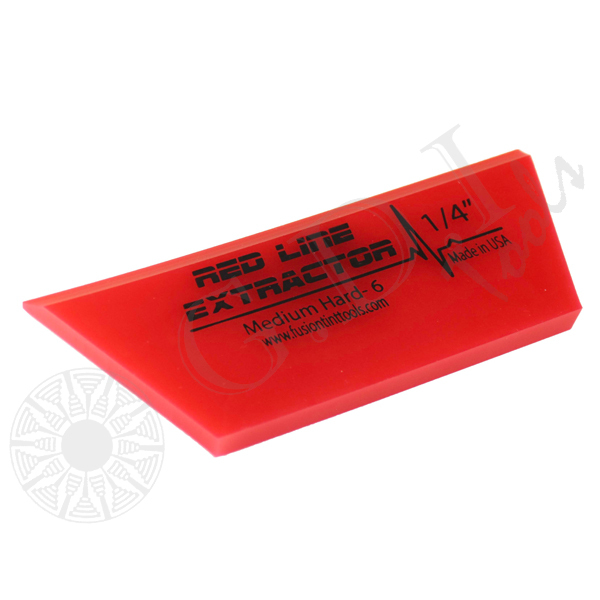 Move more liquid with every pass using these new Red Line Blades. Don’t forget to pair with your favorite Fusion Handle! 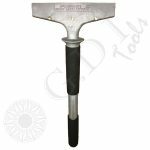 GT2114 is 5″ wide, 1/4″ thick with a double bevel which gives you double the life on your working edge. 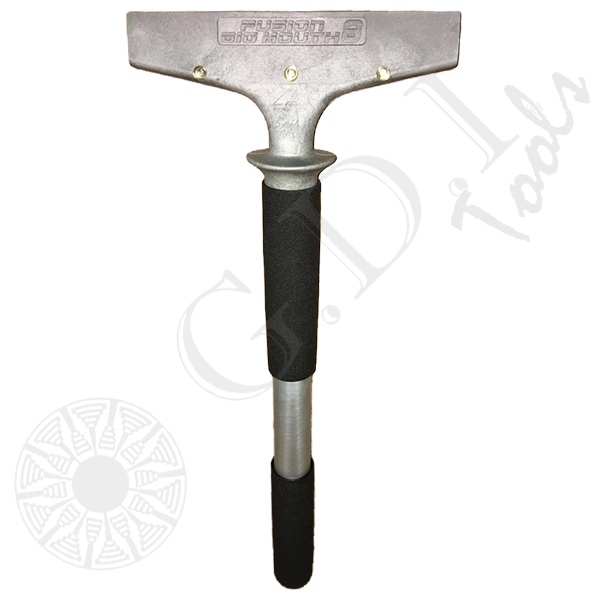 GT2114A is 5″ wide, 1/4″ thick with a single bevel and cropped sides. GT2114B is 5″ wide, 1/4″ thick and no bevel. This allows you 4 working edges. 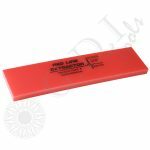 GT2115 is 8″ wide, 1/4″ thick with a double bevel. 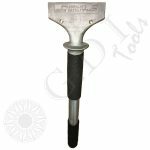 GT2115B is 8″ wide, 1/4″ thick with no bevel. 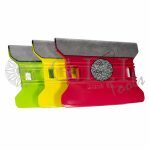 Evolved from the success of the Speed Wing family the new Suede Blade has quickly answered a lot of challenges for installers. 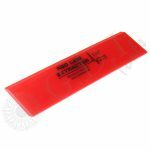 The Suede Blade comes with a dual layer fabric that gives installers a cushioned, smooth fabric over the edge of the squeegee. 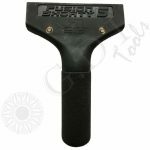 The Suede Blade glides over window tint, paint protection film and vinyl graphics/wraps with ease. 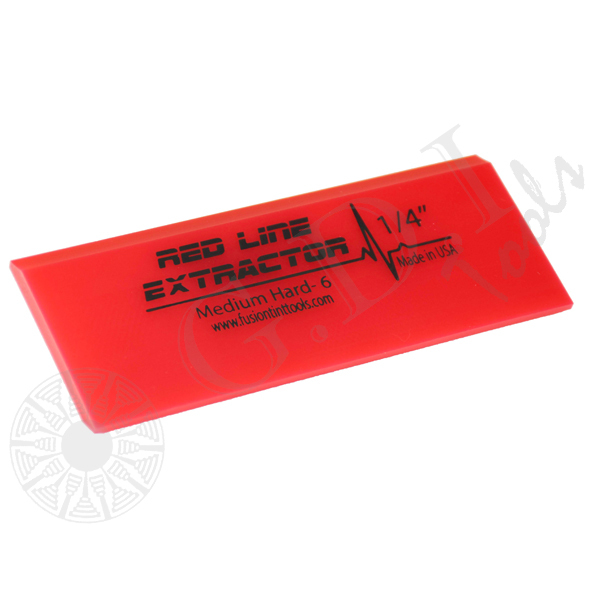 With three different durometers the Suede Blade will meet all your application needs. MADE IN THE USA. 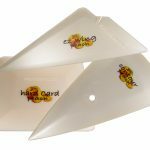 GDI Tools is now stocking the new PEACH line from Pro Tools Now.Pro Tools Now has developed a proprietary blend of polymers that make the New Peach Line of tools that glide across film in a way previously impossible. In addition, each tool in the Peach Line comes with hand polished edges to assure you have the smoothest installation edge possible. 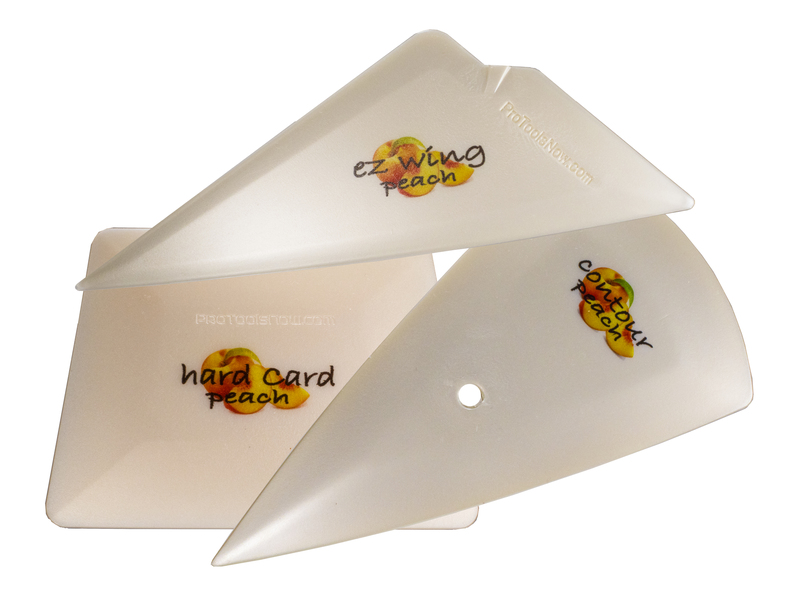 The Peach Line is available as Hard Card, Contour and EZ Wing.